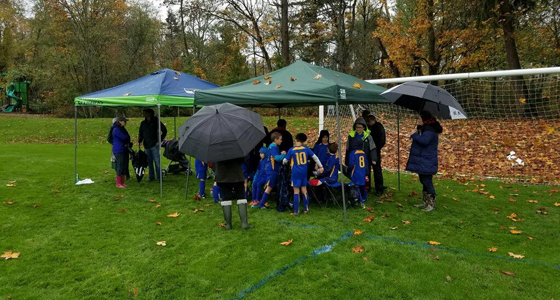 (Nov 11, 2016) It'd take more than a rainy weekend and an I-90 closure to keep our EYSA U8-U10 Recreational League players from playing great soccer and having some serious fun. Teams from Mercer Island, Bellevue, Lake Hills, Newport and Issaquah clubs converged on South Mercer, Ringdall and Homestead playfields for the U8-U9 2016 Season Finals Weekend and the U10 Year-End Tournament on November 5th and 6th, and by almos all accounts, it was a great way to wrap up the season. 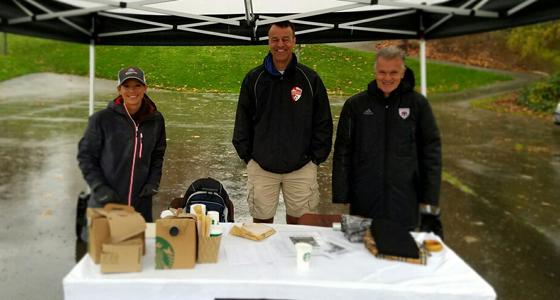 According to Kendra Campbell, EYSA's Program Coordinator, who worked tirelessly alongside EYSA Director of Referees Ken Robertson, "It was a memorable way to end the year. 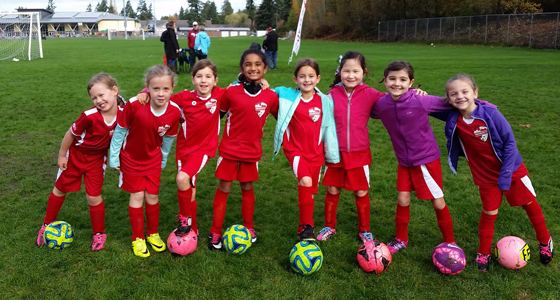 It was EYSA's second year closing out the season tournament-style, with two days of soccer, and it was awesome! 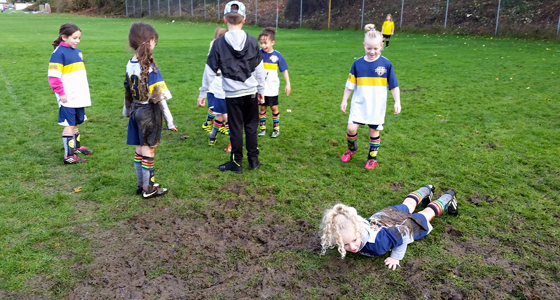 The weekend was filled with great play, lots of smiles, and, of course, mud." The fields, for the most part, were in pretty good shape for the weekend; any mud only made it more exciting, of course. EYSA President Scott Gode echoed Cambell's sentiment. "I wanted to give a BIG shout out to Ken and Kendra for all their great work and heavy lifting to make this weekend's set of extra games come off as smoothly as possible!" A lot of work went on behind the scenes to make it possible to schedule competition, staff the event, organize volunteers, schedule and set up the fields, and ensure there were enough referees to cover the games. "I know that many of you gave an extra effort to make things work this weekend, but Ken and Kendra went above and beyond." And, so did the players and coaches. We saw some great soccer, evidence of hard work and tremendous improvement during the season. The popularity of our sport continues to grow in the Pacific Northwest, and if the smiles we saw this weekend were any indication, that won't be changing anytime soon. * The MI Lightning Bolts tied the MI Sparklers in the first round. Based on overall record for the season, the Lightning Bolts got the victory. The MI Sparklers ultimately finished 3rd.